Seymour Road Academy is a two form entry academy and is part of the growing, multi-academy Wise Owl Trust which was formed in 2012. Our academy is located in an exciting and diverse community in East Manchester, close to the Etihad Stadium and the National Cycling Centre. We currently have 463 pupils on role which includes a 52 place nursery. We are an inclusive academy which is devoted to ensuring that our children are ready for the next stage in their life, equipping them with the necessary skills both academically and socially. At Seymour Road, we are committed to the mental health and well-being of our children and this is catered for through our highly bespoke curriculum, responding to the needs of our families. We are incredibly dedicated to our children, their happiness and transforming their lives to present them with the best possible life chances. I am delighted to welcome you to the Seymour Road Academy website. I hope it will give you a flavour of life at school and a sense of what we value for our children and in our children. It is my priority that the education your child receives here with us will enable them to achieve their academic potential and progress confidently into the next phase of their education. It is also part of my vision that all our children are filled with positive experiences; that they are aware of the endless possibilities that await them and that they are nurtured in order to develop within them, a confidence to embrace whatever comes their way. Underpinning the above, is my relentless commitment to ensuring that the children of Seymour Road Academy possess the values that enable them to live well in society and prepares them to deal effectively with the challenges that the modern world presents. Our motto is ‘Together Everyone Achieves More’ and we are fortunate to have innovative, forward thinking staff who continually develop their practice and are happy to give their time and energy to nurture your children. 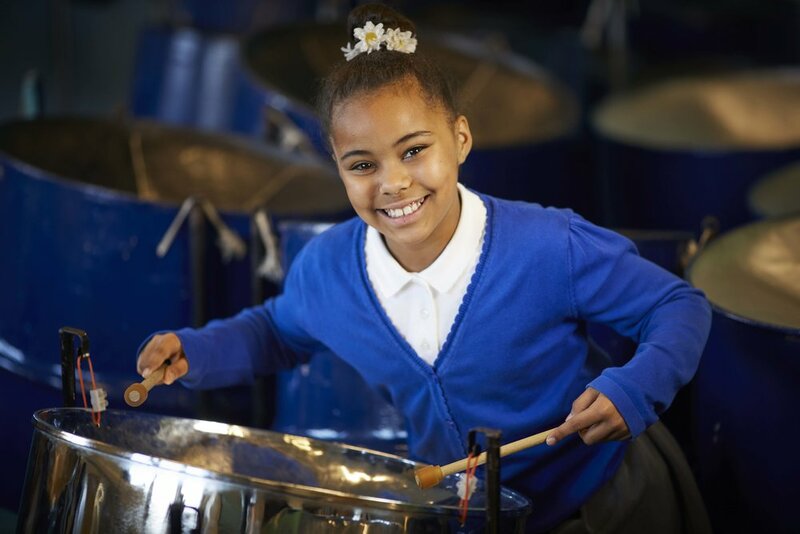 Our mission is to deliver a top quality education to all of our children across the Trust by tackling the barriers to learning and responding to contextual needs. We are committed to ensuring that our children are ready for the next stage in their life, equipping them with the necessary skills both academically and socially. We believe that successful learners are encouraged through; hands-on experience, independence and the application of Basic Skills through challenge. The main focus of our Trust is therefore learning both inside the classroom and beyond, combining knowledge, respect and aspirations. Our Trust will carefully grow maintaining it’s family ethos at the heart. Academies will maintain their autonomy at local level whilst taking advantage of the wider school improvement offer to build strong capacity from within. It is this model that will ensure future sustainability for individual academies and the family of schools as we grow. Seymour Road Academy is a happy academy, where children learn in a caring environment and are all valued. We aim to develop creative approaches to learning where children are engaged, excited and enthused about what they are learning and are going to learn. At Seymour Road we want to foster a life long love of learning for its own sake and to help our pupils to become confident, self disciplined individuals capable of playing a fruitful part in today’s society. The Wise Owl Trust is dedicated to the development of each child as an individual, and presenting them with the opportunities to succeed. We, as a Trust encourage our children to make the most of their strengths and embrace their areas for development, by developing confidence and a ‘can-do’ attitude. We believe that every child, however challenging their circumstances and whatever their background, can achieve. What's happening at Seymour Road? Next Tuesday afternoon (22nd January) we start the Parentgym workshops. These will enable you to meet other parents, develop your parenting skills and it’s all for FREE! If you would like more information, please speak to the office or Mrs Willott. Year 2 had an exciting afternoon learning about and handling various birds of prey. They learnt all about their special skills and how they hunt. Take a look at the photos to see some of the children holding a peregrine falcon. The sun was shining brightly for our academy sports day yesterday. The children had lots of fun taking part in various activities. We had a mini assault course, throwing, hockey, rugby and football skills all combined! Take a look at the photos to see the great sports they took part in! Super Sports at the Wise Owl Trust Sports Day! The children had a fantastic time at our Wise Owl Trust sports day competing against Briscoe Lane and Old Hall Drive. They all showed brilliant sportsmanship and represented our academy beautifully at the sports stadium. We also had amazing music played by our steel band. Thank you to all the parents who also came to support the children. Take a look at the photos to see all the activities we took part in. Year 6 recently visited Crucial Crew. We learnt a lot of skills and knowledge to do with staying safe in preparation for secondary school. We learnt about how to respect transport such as: trams, buses and trains. We learnt how to use them safely. We also learnt all about the effects of alcohol and drugs and why we should not use them. Here are some pictures of us in first aid and wearing police uniform. Yesterday we all took part in World Book Day 2018 with a pirate theme. Take a look at the fun we had and what pirate business we got up to! You can now login to your Parent Pay account here. BREAKING NEWS - BEANSTALK IN KS1! A huge beanstalk has come crashing through the KS1 hall. Find out what the staff at Seymour Road have to say about it. We raised a fantastic amount for the Poppy Appeal - thank you! Year 1 have been 'walking on the wild side' at Knowsley Safari Park!